PACC have been extremely proud to support the development of the Bayston Hill Parents Supporting Parents group over the last 12 months. Due to the growth and success of the Parents Supporting Parents in Bayston Hill group this year, Jeannette Griffiths (group lead) is now going to take the long standing group forward to become an independent constituted group. 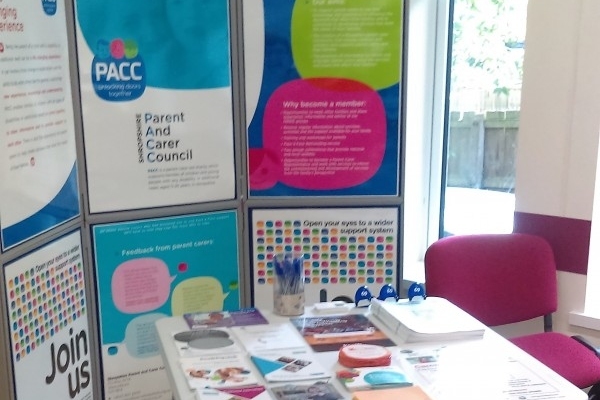 PACC are pleased to see the group become independent and look forward to working with them in their new form in the future. The group will no longer be supported by PACC and will no longer sit within the PACC support groups network. However we will continue to work in co-production and facilitate participation wherever possible for the Parents Supporting Parents Group. PACC will continue to offer our own network of support groups but will be reinvigorating them with new names and looking to expand our community reach throughout 2019.